So I got an email a little while back from a viewer of Tech Chop who was obviously a computer newbie, and wasn’t sure what Linux was. Don’t laugh, because there apparently are a lot of people who haven’t been properly introduced to the wonder that is Linux, and open source. So I decided to put together a quick explanation on what Linux was. If you didn’t know, Linux is an open source and usually free operating system that one could use as an alternative to Microsoft Windows or even Mac OSX. I say usually free because, like I mention in the video, there are some proprietary versions of Linux that aren’t free. Red Hat Enterprise Linux is an example of that. If you are new to Linux, might I suggest my own personal distro? 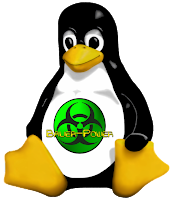 It is called Bauer-Puntu Linux, and is based on Ubuntu except I have pre-packaged it with some helpful computer troubleshooting tools, and a few hacking tools as well. Are you a Linux newb? Got any questions? Hit me up in the comments. First of all, I would like to stat this article out saying that I am not a DBA (Database Administrator). I am sure there are plenty of DBA’s out there that know there way around SQL way better than me. Seeing as how my company doesn’t have a dedicated DBA, I am stuck messing with it in order to keep things working. How many of you have deployed a Microsoft SQL 2005 or 2008 server and after you are done with the initial install and setups you notice that SQL is hogging every little bit of memory you have? How many of you have tried running SQL on VMware? You probably noticed that too right? There is a reason for this, by default Microsoft SQL is designed to take as much memory as you give it up to 2147483647 MB (That is 2 Petabytes of memory!) WTF is that all about Microsoft? Once the server came back up, SQL was limited to only 6GB of RAM, leaving 2GB for the operating system. After that, everything ran a little smoother. Are any of you DBA’s? Any idea on why Microsoft sets the default memory max so high? Let us know in the comments. Yesterday I ran into an issue I hadn’t before in VMware. I was setting up a new ESXi server to add to a cluster. Like all the other hosts in the cluster, I ordered it two PCI-Express 4-port NIC’s for use as redundant iSCSI and Virtual switch connections. The only problem is that this time I used a different model than before. The other hosts in the cluster had been around for a while, and I wasn’t the one who ordered them expansion NICs. I figured I would just get some HP branded ones, and we should be good because the servers are HP servers. I thought wrong. When I installed ESXi it didn’t automatically detect the NICs. Every other time I installed ESXi it did. Like any other computer operating system though, the NICs won’t be detected if the proper driver wasn’t installed. the NICs I bought were HP NC365T 4 Port Gb network adapters. In order to get them to be detected on ESXi, I first had to do a search to see if they were supported. I went to The VMware compatibility guide and did a search in the I/O adapters section for NC365T. There I saw at the bottom that there were two available drivers. I went ahead to the driver download page, and searched for one of those driver numbers. From there I downloaded the ISO with the correct drivers. After that I rebooted, and like magic my NICs were discovered by ESXi! Have you ever had to do this in your environment? Can you tell me why my vCLI command might not have worked right? Let us know in the comments.